Sponge cake with 3 layers - fresh strawberry cream, fresh fruits and mascarpone. 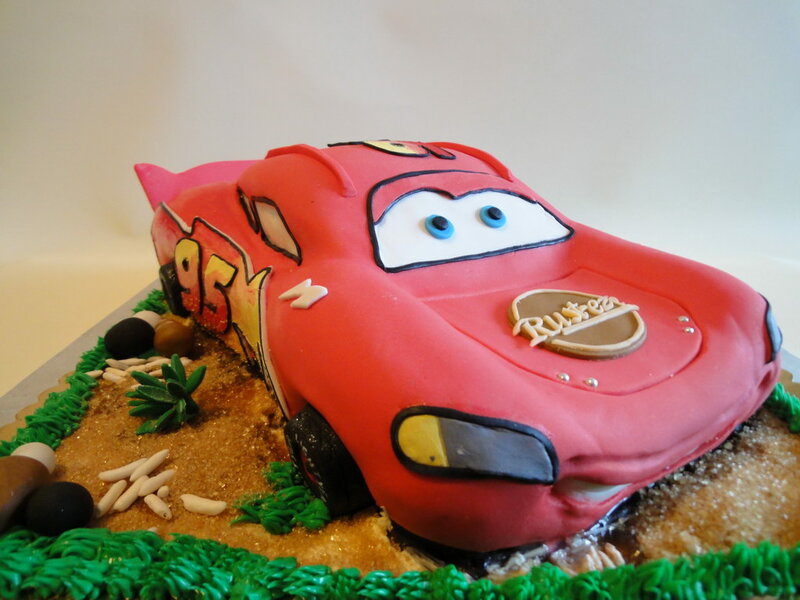 Lightning McQueen, typically referred to by his surname McQueen, and occasionally called "Stickers" by his girlfriend Sally (a light blue Porsche roadster), is an anthropomorphic racecar and is the protagonist in the 2006 animated Pixar film Cars, and the secondary protagonist of its sequel Cars 2. He was named after Pixar animator Glenn McQueen who died from skin cancer in 2002; it was erroneously believed after the film debuted that the name was influenced by actor and noted racing buff Steve McQueen. He is based on generic NASCAR vehicles, but with design influences from the Mazda Miata and Dodge Viper . Late in the film, he is painted much like the Chevrolet Corvette C1. 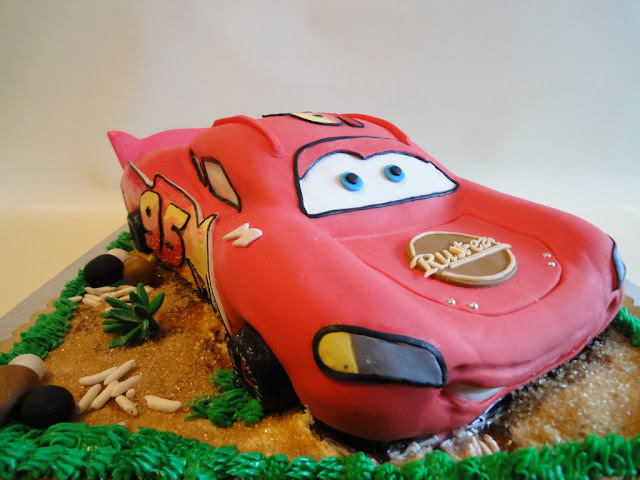 During the initial research for the film, John Lasseter met with General Motors designers to discuss the new Corvette design but subsequent changes to the storyline left both Lightning McQueen and rival Chick Hicks as generic. It is revealed on Lightning McQueen's Facebook page, after the events of the 1st movie, he won the Piston Cup from 2007-2010. He is voiced by actor Owen Wilson in Cars, Cars 2, Mater and the Ghostlight, and the Cars video game; he is voiced by Keith Ferguson in Cars Toons, Cars Mater-National Championship, and Cars Race-O-Rama.